This is an invocation traditionally recited by the spiritual sons of Fr. Bertoni at the novena and the feast of the Espousals of the Most Holy Virgin Mary with St. Joseph. The Founder, actually, chose Mary and Joseph, in the mystery of their Espousals, as Patrons and Models of the Congregation of the Sacred Stigmata. Fr. Bertoni dedicated the main altar of the restored Church of the Stimmate to Mary and Joseph and introduced as patronal feast the celebration of the Holy Espousals, already scheduled on January 23rd. 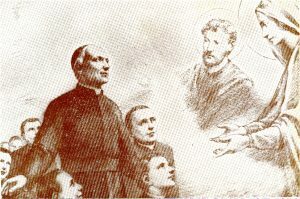 Thus, the devotion of the Holy Spouses became one of the characteristic expressions of the Bertonian spirituality along with the devotion to the Sacred Stigmata. 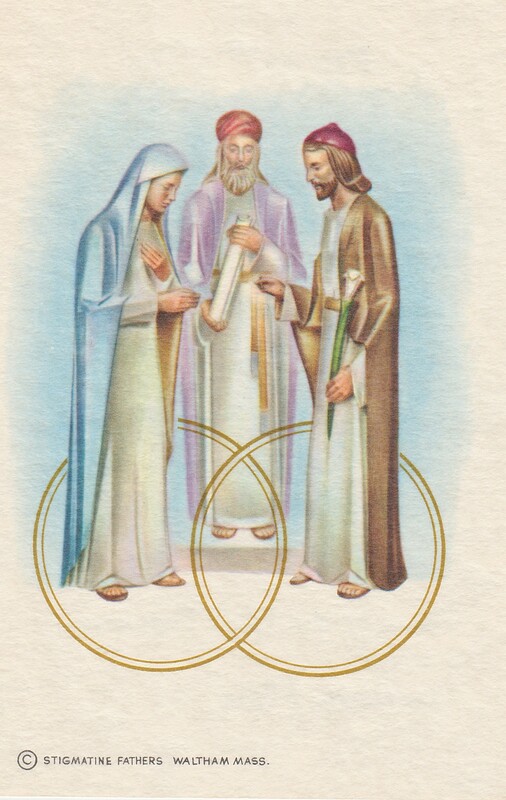 That same invocation leads to presume the essential connection that links the mystery of the Espousals of Mary and Joseph with the “espousal principle” present in the whole purpose of redemption. 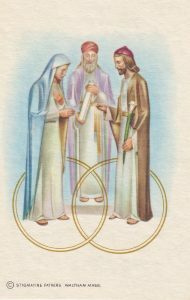 “On the union of the Holy Spouses Mary and Joseph – and as expressed in a panegyric on the feast of the Holy Espousals – the nuptials of Mary and Joseph represent the union of Christ with His heavenly Spouse”. “Our soul must be with Christ its Spouse, to whom it is married in grace, the same relationship that Mary had with her Spouse, Joseph.” Fr. 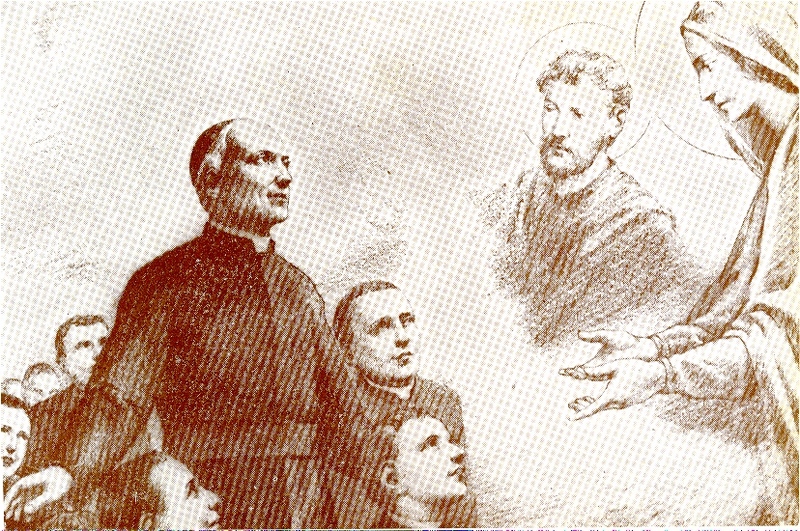 Venturini while explaining to the young people of the Oratory at the Stimmate translated in concrete terms the deep connection, as in the mind of Fr. Bertoni, that Mary never let him down in the least, but always heeded his wishes. Similarly, our soul must never let God down by disobeying His commandments. Furthermore, Mary always honored her Spouse as the head of the family, perfectly fulfilling all the obligations of her state and depending entirely on him. We, too, have to honor our heavenly Spouse by fulfilling exactly whatever is our vocation: as workers, students, heads of families, employers and especially as Christians. Mary enjoyed the company of her spouse. Let us imitate her by visiting our heavenly Spouse in the Eucharist and by keeping Him company with joy. It’s an honor and a great joy that the North American Province of the Stigmatine Congregation in Waltham, Massachusetts is named after the Holy Spouses. The National Sanctuary of the Holy Espousals (photo) is located in the same property.